Ahead of the awards shows, some celebs stepped out for the Charles Finch & Chanel pre-BAFTA's dinner at Loulou's this evening(February 9th) in London. Most of the guest were wearing CHANEL, unless otherwise stated. 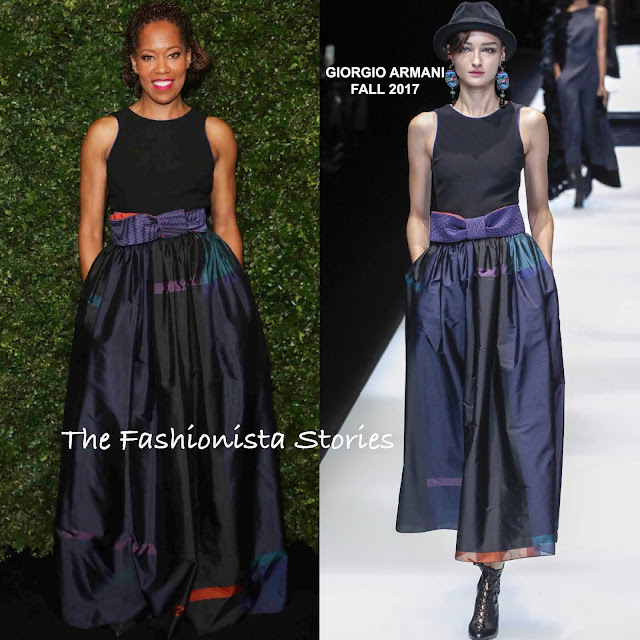 Regina King opted for a GIORGIO ARMANI FALL 2017 gown which featured a black sleeves top and a bow waist, ball gown skirt, with side pockets which she utilized. On the runway, she skirt was shown in a midi version, which Regina could have pulled off. However she delivered in her altered version. Margot Robbie is a Chanel brand ambassador so naturally she was a dress from the fashion house. Giving the SPRING 2019 COUTURE collection it's first carpet run, she wore a black draped panel knee length dress. Simple but pretty. Lucy Boynton who also attended the Nepresso party, wore a SPRING 2019 white, gold & black panel skirt suit which she teamed with a logo bag and white Mary Jane pumps. Thankfully she had the skirt altered because her mini version suits her style. Eleanor Tomlinson wore a SPRING 2019 look as well. She wore a black tweed jacket and black biker shorts. She ditched the runway's leather biker shorts, for a stretch-jersey version. Although her black pumps got lost in the carpet, she looked great. 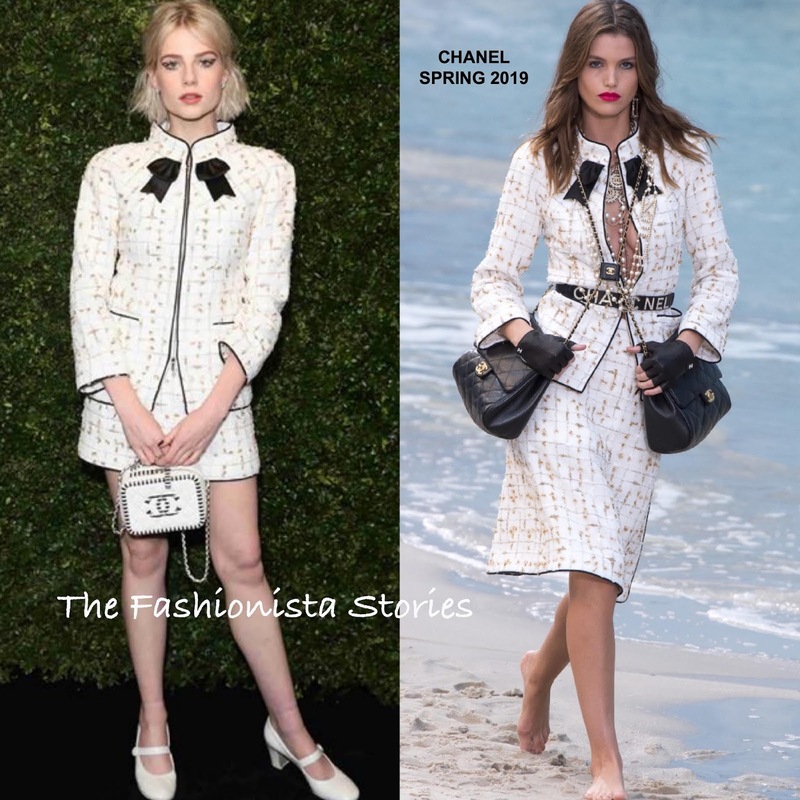 Ellie Bamber also wore a look from the SPRING 2019 collection. She wore a black spandex jumpsuit which stopped just below her knees, with a pink tweed jacket over it that gave it a masculine touch.